Pair this tie with a pale blue micro check shirt and you got a look that is perfect for the office as well as dressy weekend invitation. 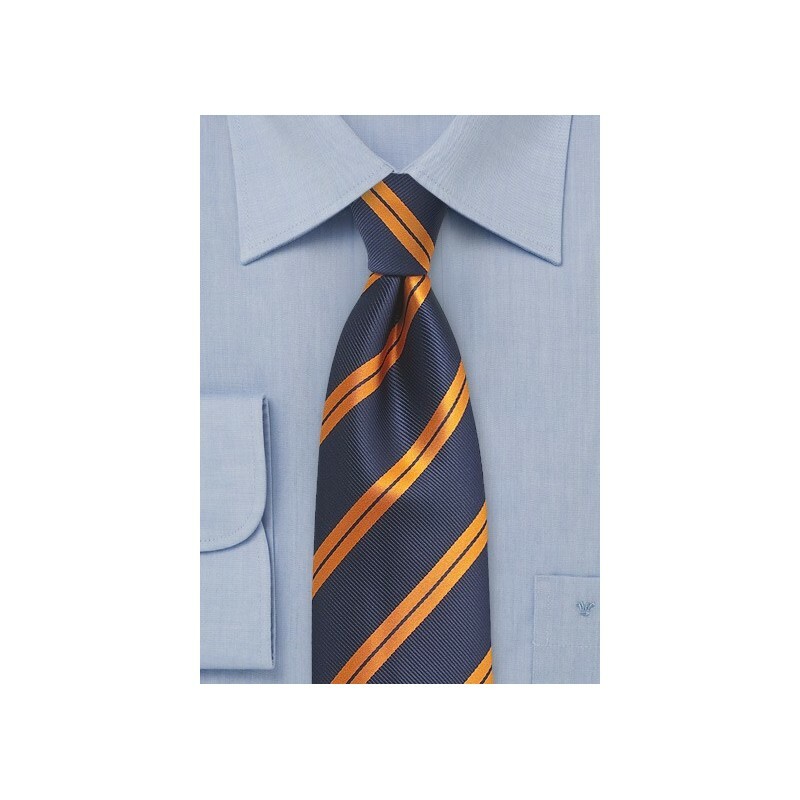 The repp textured on the navy blue background are in perfect contrast to the shiny double stripes in bright tangerine orange. 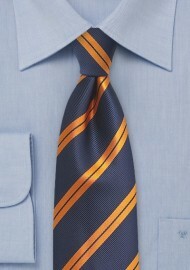 Made from woven microfiber by neckwear brand Puccini.